March 04, 2016 The high expectations of the co-location were totally fulfilled. Both organizations demonstrated enormous commitment and offered exhibitors and visitors the best possible trade fair service. With 235 exhibitors from 14 countries and more than 6,100 visitors from 36 countries, the co-location of Indian Ceramics and Ceramics Asia 2016 proved to be extremely successful when these two events were held at the Gujarat University Exhibition Centre from March 2 to 4, 2016. The additional hall, which increased the amount of exhibition space by 4,000 m², also met with a very positive response. 235 exhibitors presented their products and solutions in two exhibition halls at the Gujarat University Exhibition Centre in Ahmedabad. The largest proportion of international exhibitors came from China with almost 90, followed by Italy, Germany and UK. The trade fair recorded a rise in the number of international visitors and top decision-makers. The highest number of international visitors came from China, Sri Lanka and the Middle East. “This is our first year of participation and we are overwhelmed with the response we received. This is the only platform to meet new potential customers and international buyers.”, said Rajiv Shah, Managing Director of Rajiv Cera Impex. The supporting program was very well accepted and attended. 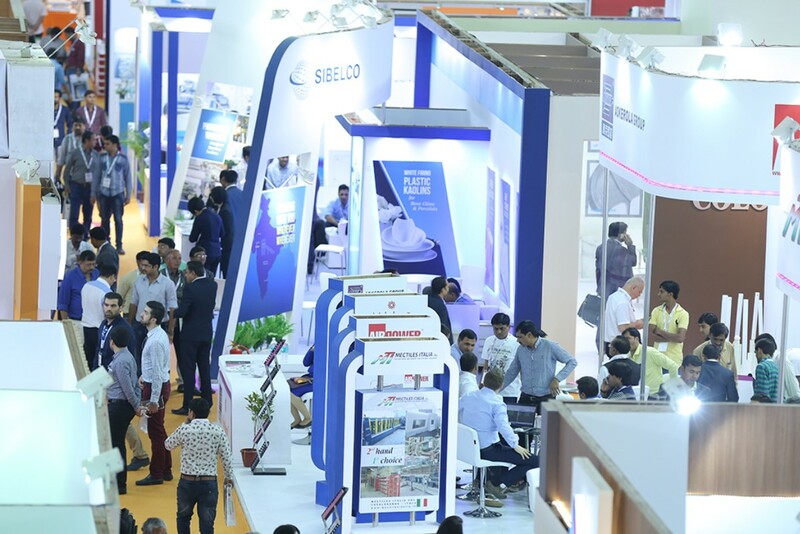 The Innovation Exchange, held concurrently with Indian Ceramics and Ceramics Asia 2016, was an unique setting for the trade fair participants, the think tanks and consultants in the industry. The participants gained insights into the latest trends and new and innovative technologies. In particular, intensive discussions were held regarding the topics of raw material processing, sustainability in the ceramics industry and emerging trades. The next “Two shows—One date”, Indian Ceramics and Ceramics Asia will be held from March 1 to 3, 2017 at the same venue in Ahmedabad.